Comet Observations – Visual, CCD & Photos. 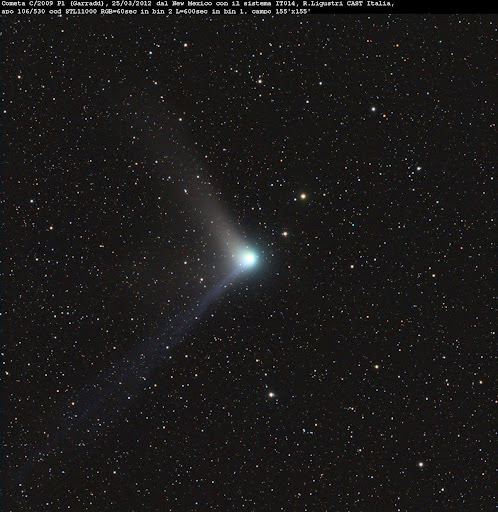 Comet Observations – Visual & CCD. Members of the Cometary Section of LIADA (The Iberoamerican Astronomical League) have a long history of providing quality comet observations. We invite comet observers from around the world to contribute with their reports. Please send us your observations. They will be used in the regular reports which appear in this website on Comet Observations. All individuals or institutions can use the information published in this site accompanied by appropriate credits. If you would like to submit a report by email, you should use Morris format if possible. Regular contributors include Juan José González, S. Yoshida, D. Seargent, A. Hale, C. Hergenrother, A. Amorim, M. Goiato, J.G. de S. Aguiar, C. Wyatt, A. Novichonok, M. Mattiazzo, D. Chestnov,, S. Aguirre, D. Sidorko, C. Labordena, A. Pearce, J. Cerny, M-T Hui, J. Drummond, U. Pilz, M. L. Paradowski, C. Stoitsis, G. Santa, R. Kaufman, S. Shurpakov, A. Diepvens, W. Souza, V. Ivanov, T. Scarmato, J. J. Chambó, M. Begbie, J. Solano, C. Vallière, A. Anunziato, T. Augustyniak, B. King, N. Biver, P. Guzik, S. Szabo, A. Scholten, V. Díaz, G. Vargas, A. Morozov, M. Meyer, E. Van Dijk, P. Camilleri, R. Bouma, S. McCann, G. Pappa, G. Sostero, K. Yoshimoto and others colleagues. How to Submit Observations.If you are going to submit observations via e-mail, please include your name, location (site, city, state/country), instrument (aperture, f/, magnification). When submitting observations, please follow the general format you see below. Charles S. Morris has agreed to assist the LIADA Comet Observations Database by becoming a Scientific Advisor. He has developed a visual magnitude estimation method and has spent decades studying comet photometry. Charles has observed more than 300 comets visually and is currently conducting a comet CCD observing program with his 40cm SCT. From 1995-2007, he hosted the Comet Observation Home Page (COHP), first at Jet Propulsion Laboratory and then independently. It was there that the format used by LIADA was developed. He is also the Associate Editor of ICQ. Both the ICQ and COHP/LIADA formats provide different advantages for the archival of comet photometry. Designed for the internet/web initially, the COHP/LIADA format has more flexibility for allowing observer comments. Thank you very much, Charles, for interpreting our spirit, a vocation of service and collaborating by providing your knowledge and experience. And for strengthing this work that has 15 years of perseverance and dedication for the scientific community.